Hello everyone! Glad to be back here at One Lucky Day after a little vacation to the Portland area last week. For those of you that follow me on Instagram or Facebook you already got a glimpse of what we saw and did. For those that did not, I will be posting about the trip once I get back in the swing of things around here. 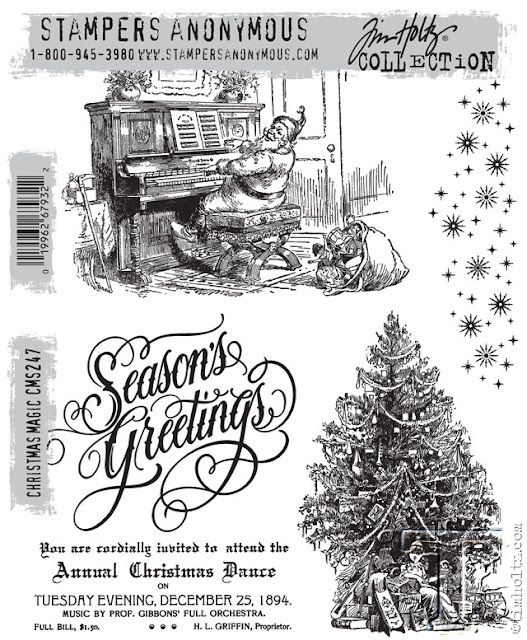 While I was away, the new Stamper Anonymous sets were released for Halloween and Christmas. I am sure many of you saw the sets, especially the new Bird Crazy Accessories that Richele worked with. If not, then please take a look at some of the cards she made using them because they are fantastic! We have a super line up of great Christmas stamps coming to market! So hard to even choose a favorite! Today I'm sharing three cards I made for the Carson show... I'm going to apologize for my photos up front - I did not have time for proper staging before getting them in the mail...so please go easy on me! 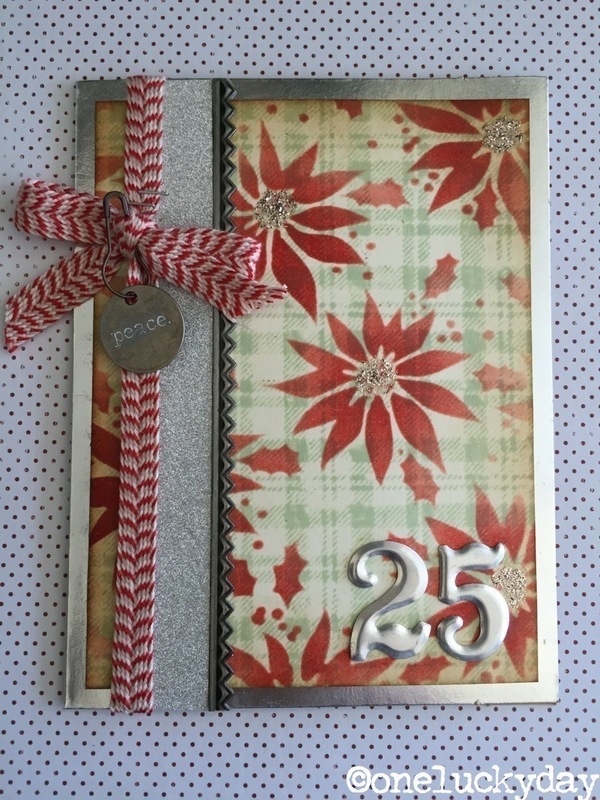 First up is a card made with wonderful Christmas Magic set. I stamped Distress Watercolor paper using Archival Ink so the image would be waterproof. Then I just colored the image using Distress Markers and a Detailer Water Brush. I mounted the image onto cardstock, then added a gold Deco sheet border. I even broke out the Stickles in Mercury Glass to color the fur on Santa's coat and hat, as well as the top edge of his big toy bag. 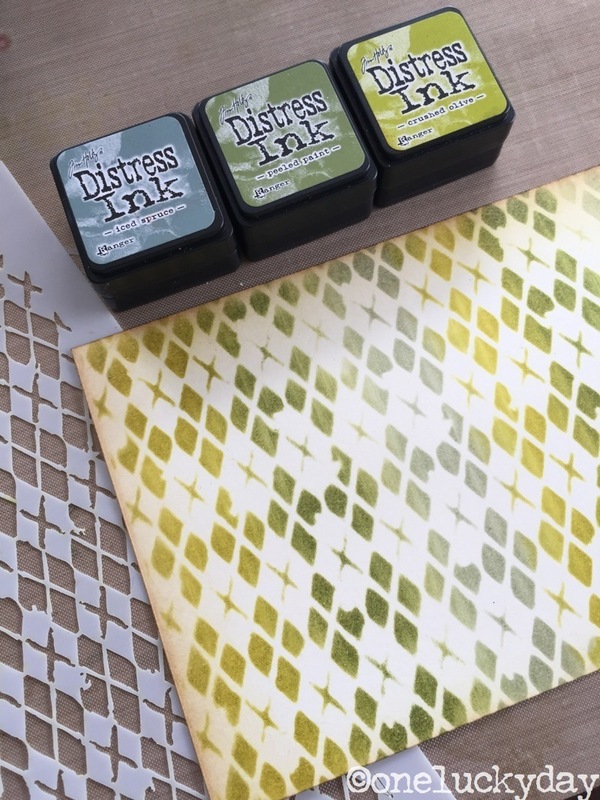 Next up I used the Argyle stencil to color a piece of cardstock. I used Distress Ink in Iced Spruce, Peeled Paint and Crushed Olive and a Mini Blending Tool to make a green "rainbow" pattern on the card face. You can easily do this by laying the stencil over the card and lightly rubbing the Mini Blending Tool from the top to bottom. 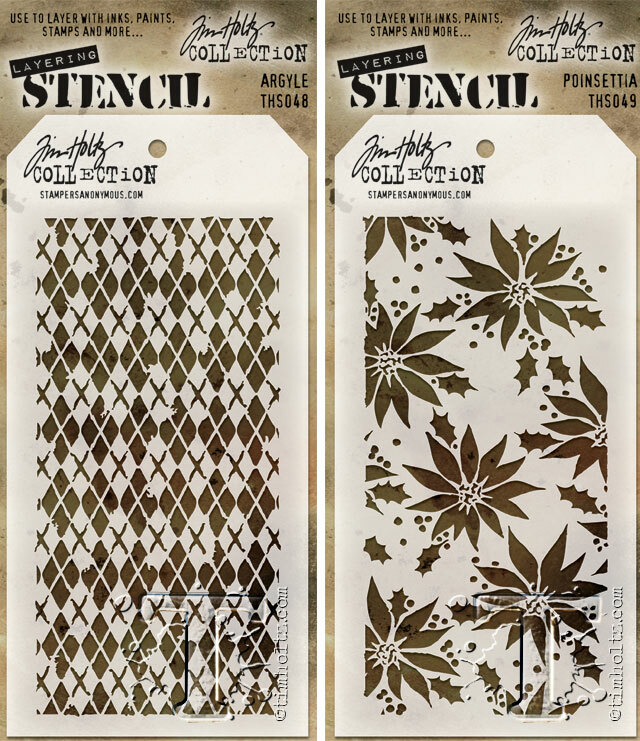 Just move the stencil along as you color in the pattern. 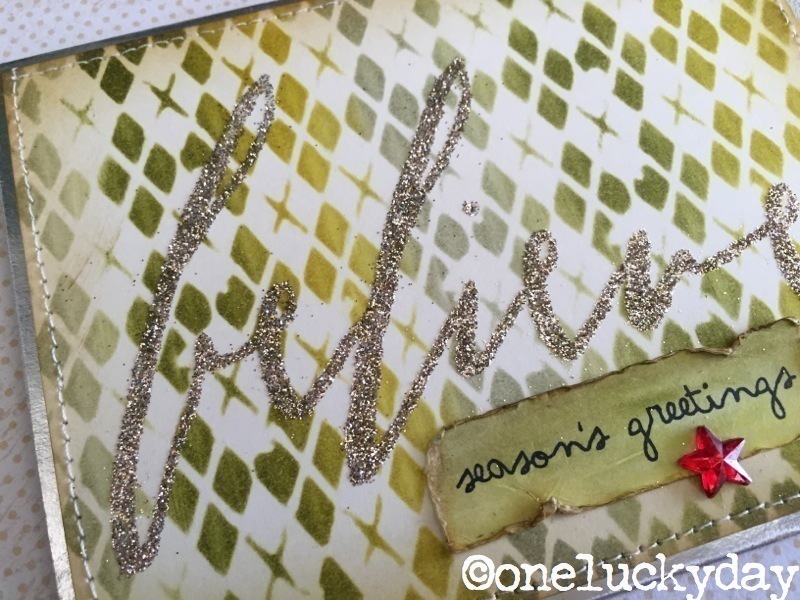 I stamped the giant word BELIEVE from the Handwritten Holidays 3 set with embossing ink then added Sticky Embossing Powder. 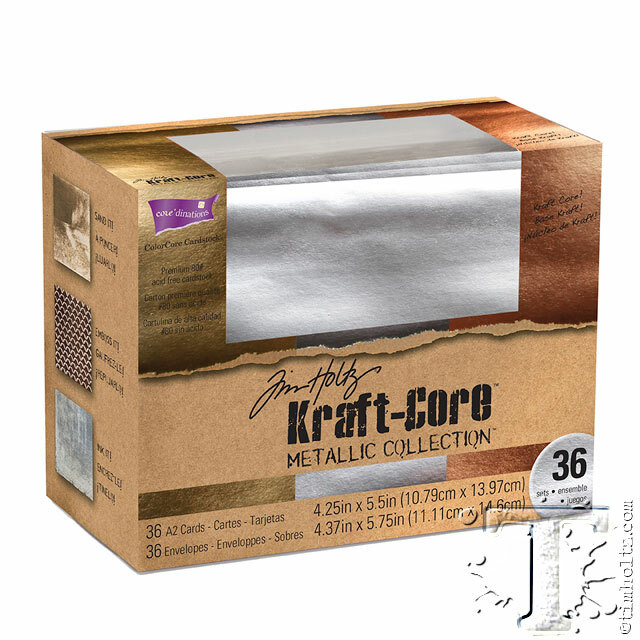 Melt the powder with an embossing tool and then add Platinum Stickles Dry Glitter. 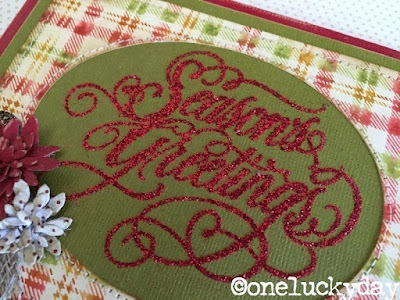 NOTE: If you want to know more about Sticky Embossing Powder you can see a step by step tutorial here. 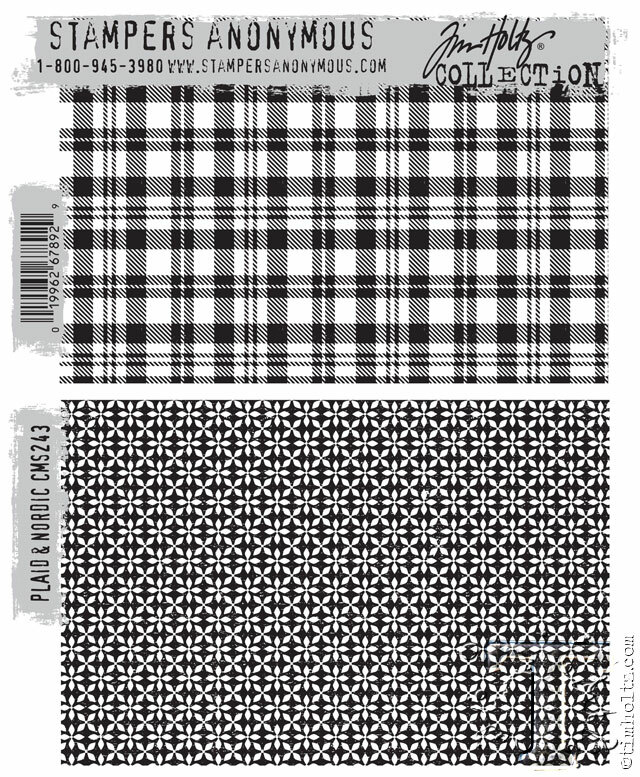 The Plaid & Nordic set is one of my favorites that was released. I'll show you why. 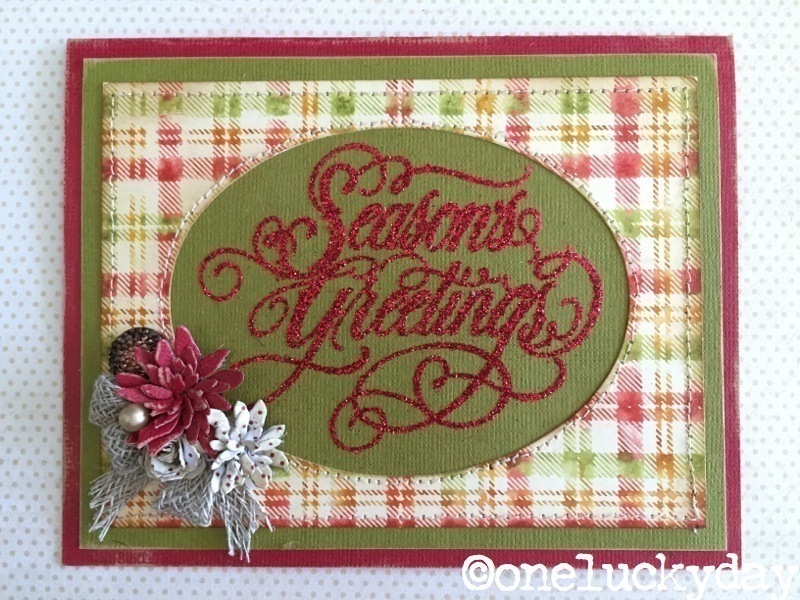 The Plaid background was stamped in my go-to Christmas favorite, Archival - Sap Green. Once the card was stamped, I used the new Poinsettia stencil and a Mini Blending Tool to add Festive Berries Distress Ink over the Sap Green stamped plaid. I added silver deco sheet (which is self adhesive), Industrious Sticker strip and a Typed Token to the Trimmings bow. You might notice I used a metallic card back. 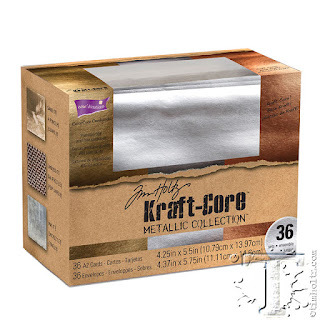 This was from the Metallic Kraft-Core set (cards and envelopes) that was released this year. You say you want more than one color? You can do that too! I colored the Plaid pattern using Distress Markers - Fossilized Amber, Peeled Paint, and Festive Berries. Once the stamp was colored, I very lightly misted the rubber, then stamped the image onto Ranger Mixed Media cardstock. 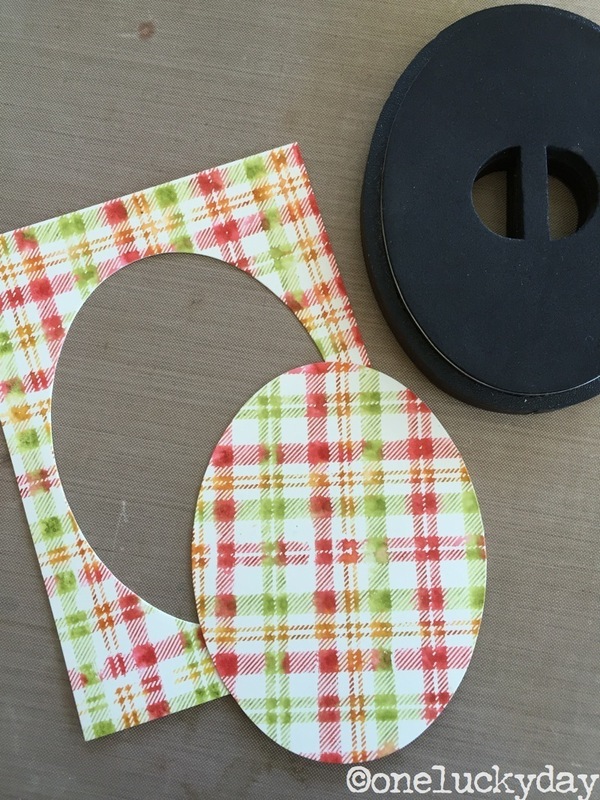 I used the large oval to cut out the center of the card and then worked on the center portion. Again, I used the Sticky Embossing Powder to adhere the Christmas Red glitter sentiment to Core'dinations Kraft Core cardstock for the center. 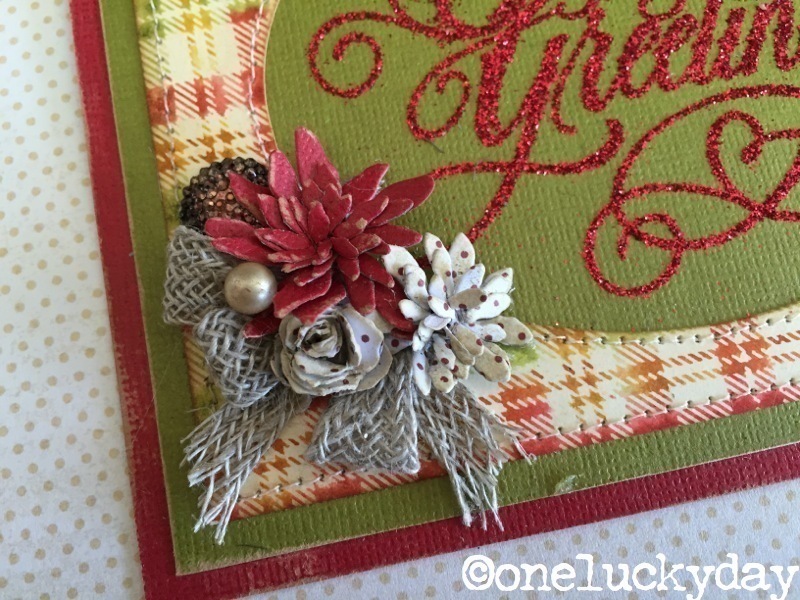 I also added a few Tiny Tattered Florals (I'm getting way faster at making them! 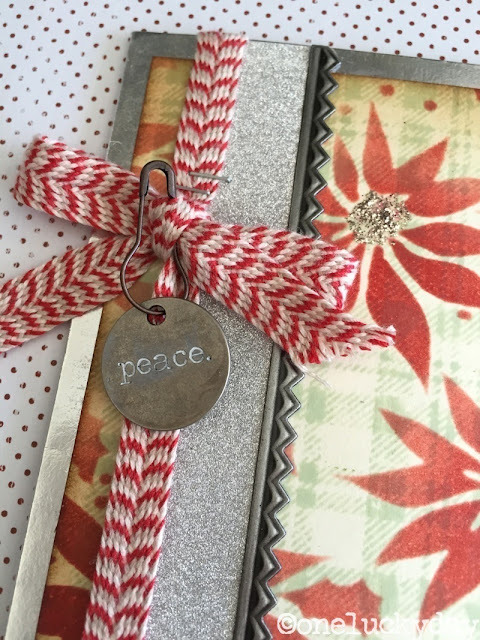 ), Linen Ribbon, a colored Gumdrop and a vintage pearl. 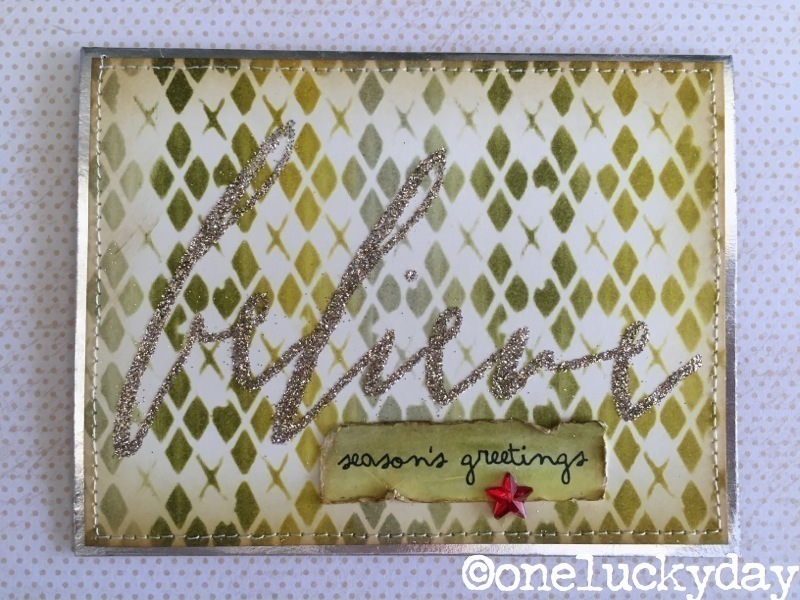 I've got one more way to use that Plaid stamp but you will have to wait till my next post! I will be back soon (promise) with more cards and tags from the show! As always, your work is beautiful! My favorite is the first card! Lovely Paula! Wants to make me start on my Christmas cards. Note to self-get sap green archival. Love, love, love the big words and the plaid background. Thanks for sharing. Absolutely in love with your multicolored plaid background! 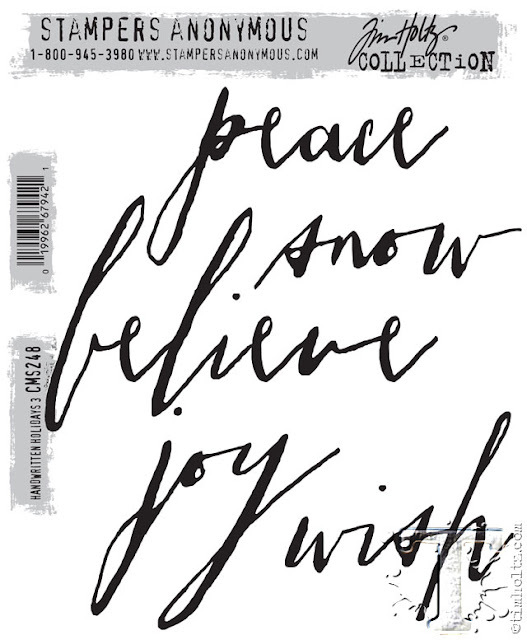 These cards really put me in the spirit! TFS! So happy to see you are back and you haven't lost your magic touch. Love Santa! 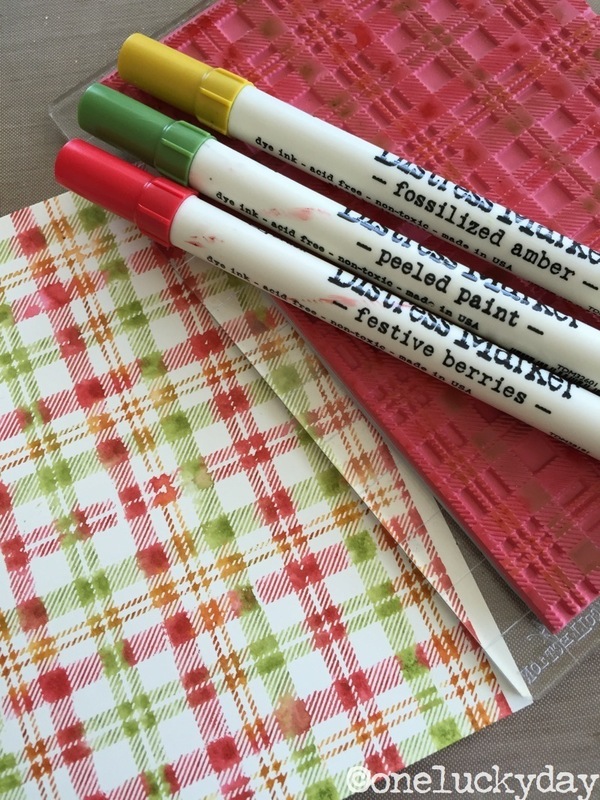 Love the multicolored plaid stamp - must have! 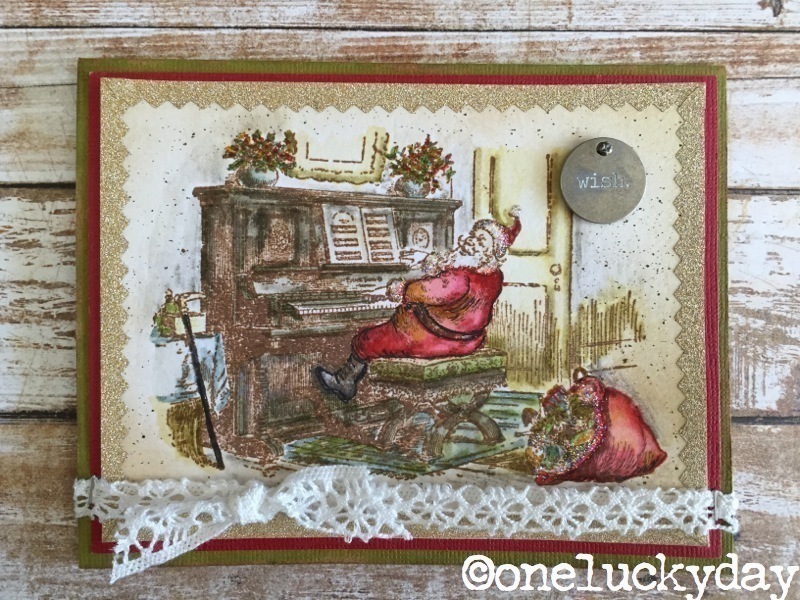 Great cards Paula! 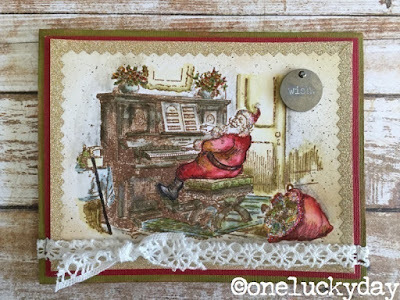 Beautiful cards, Paula. I especially love the first one with Santa. It reminds me of Christmas cards from my childhood. And yes, I CAN remember back that far! You NEED the plaid. I was not convinced till I used it over and over...light or dark it makes a great background for any season. I'm sure your husband loves me. lol. Beautiful Paula, love the plaid, stunning with the poinsettia stencil over top! 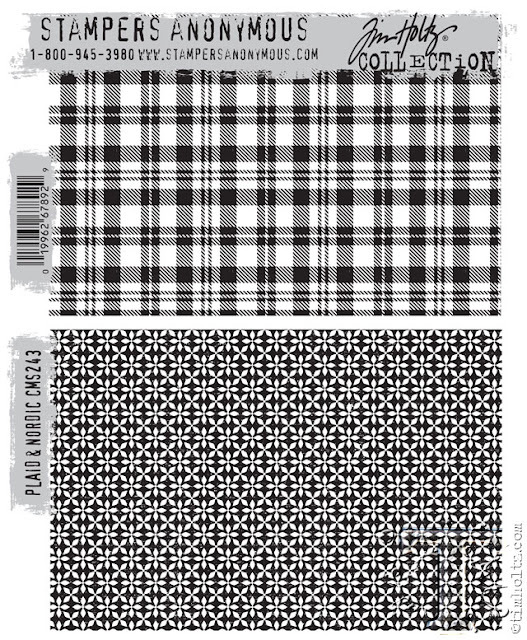 I thought I'd pre-ordered everything I wanted but seems I need to add the plaid stamp to my wish list! Had to come and look again ... just love seeing are your creative uses of Tim product ... takes me to my Happy Place ! 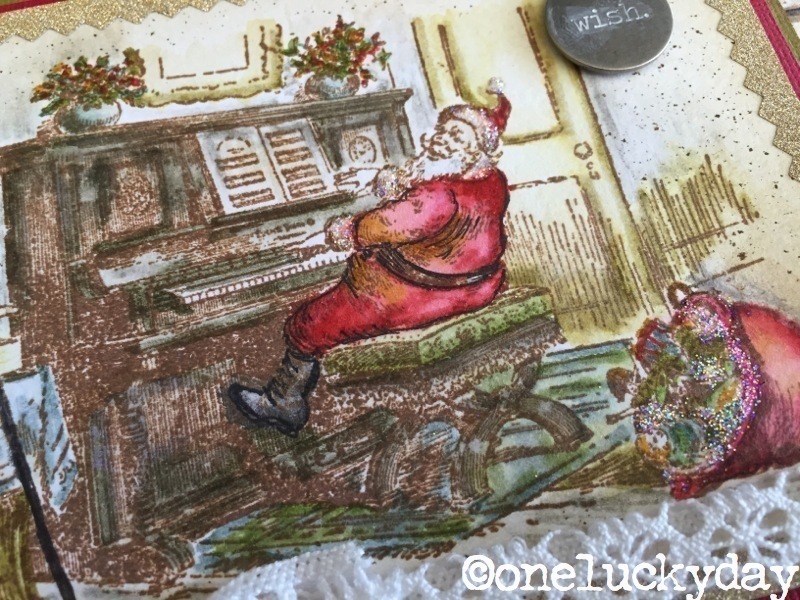 The way you colored rock'n out Santa is fabulous!!! Gorgeous pieces!